Learn what you need to do when having a severe allergic reaction. 1. Have a written Anaphylaxis Emergency Plan with your picture or a picture of your child. Post this plan in a place where you can see it and have a copy available at all times. Any person caring for your child should have a copy. Adults with allergies should share it with their co-workers. It will be useful to refer to during an emergency. Ask your doctor to help you fill out a copy and explain the emergency steps. You should be able to recognize the symptoms of anaphylaxis and treat a reaction with an auto-injector. 2. 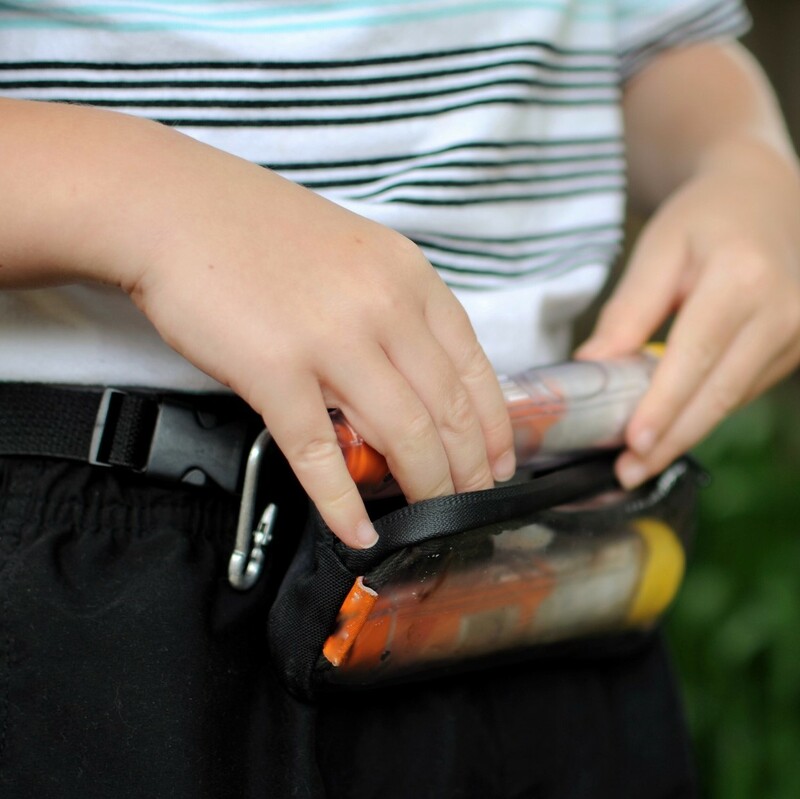 Learn to use an epinephrine auto-injector. Talk to your doctor about when and how to use it. Each brand of auto-injector has a website with instructions and videos to help you learn how to use the device. Practice with a training device, which looks like a real auto-injector but does not contain a needle or the drug. This will help you prepare for an emergency and feel more confident about using the auto-injector. 3. Always have an auto-injector available. If you forget to bring it with you, go home and get it. It is wise to have two doses of epinephrine on hand, because some people may need a second dose during a reaction. Discuss this with your doctor. 4. Use medical identification jewelry, such as MedicAlert®. If you or your child are alone or unconscious, the identification jewelry gives others credible information about their allergy. Special offer for the Food Allergy Canada community: mention the code FACYOUTH to receive a free $39 ID or $39 off any ID, free shipping, and 20% off your service plan. Mention the code FACADULT to receive $50 off your order and free shipping. For anyone 18 and under – mention offer code FACYOUTH to receive a FREE $39 ID, or get $39 off any ID, FREE shipping, and 20% off your service plan. For anyone over 18 – mention offer code FACADULT to receive $50 off your order and FREE shipping. To get this offer, please call MedicAlert directly at 1 855 581-3791. If you think you are or your child is experiencing an anaphylactic reaction, follow the steps of the emergency plan. Talk to your doctor about when and how to use an auto-injector. 1. Give epinephrine, using an epinephrine auto-injector, at the first signs of an allergic reaction. Visuals of these body positions can be found below. It is life-saving medication for a severe allergic reaction. It works quickly and helps to treat life-threatening symptoms by opening up the airways and increasing blood pressure. Deaths from allergic reactions to foods are rare, but the risks are real and need to be taken seriously. In most cases, deaths from allergic reactions to foods have been caused by a delay in treatment with epinephrine. Call 9-1-1 (or the emergency service in your area) and stay with your child while waiting for the ambulance. If you are having a reaction, ask someone to stay with you. Another person should show paramedics where you are or where your child is. Do not stand up or walk to the ambulance. 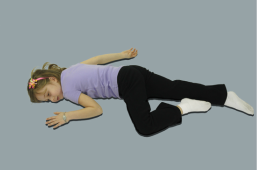 Once epinephrine has been given, place the person having the reaction on their back (if they are not already lying down) with their legs raised while waiting for the ambulance. This position will help the blood flow to the vital organs of the body (heart, brain and lungs). Please note, someone who is having difficulty breathing should be kept sitting up or in a position of comfort. If the person is vomiting (throwing up) or feels nauseated, place them on their side so that if they vomit, they will not choke. It is very important to keep their airway clear. If the person is finding it difficult to breathe, they may prefer to be in a sitting position or in a position of comfort. However, if breathing is not an immediate concern, keep them lying down as described above and do not move them suddenly into a sitting or standing position until a doctor can assess them. Sudden movement into an upright position during an allergic reaction can cause a drop in blood pressure, which can be dangerous. 3. A second dose of epinephrine can be given as early as 5 minutes after the first dose if there is no improvement in symptoms. Keep in mind that epinephrine can wear off, and you or your child may need more epinephrine, as well as other treatments. It is important to be taken to the emergency department to be seen by a doctor. A second wave of anaphylaxis is called a biphasic reaction. This happens after the initial symptoms are resolved and is usually several hours after the first reaction. The paramedics should take you or your child to the ambulance by stretcher. Parent tip: Stay calm. Your child will feel less anxious if they see that you are in control. Ask the doctor to prescribe auto-injectors before leaving the hospital. Purchase the auto-injectors as soon as possible.